Make your escape to our Pocono Resorts even better with one of our Suite Suggestions Gift Items. All Gift Items can be delivered to your Suite with a personalized message! 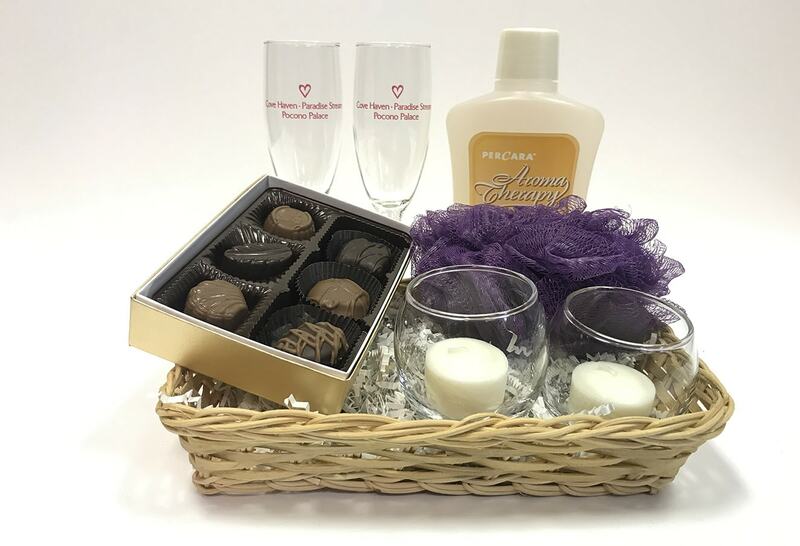 Before your arrival, just call your Pocono Resort Travel Planning Specialist to order any of our Suite Suggestions Gift Items and well deliver them to your Suite after you check-in. With a log on the fire, bubble bath, glowing candles, chocolate for indulgence, silver tone champagne bucket, champagne glasses and rose petals sprinkled throughout the suite, the only thing you have to remember to bring on your trip to our Resorts is each other. Ignite your passion with a split of champagne, scented bubble bath, complimentary photo album and our duraflame fire log. All that fun in the Land of Love calls for a turndown service with a touch of our signature sweetness. Two boxes of our tasty truffles, two bottles of cordials, a pair of shot glasses, and a freshly remade bed are included. The road to love is paved with petals. Set the scene with a trail of rose petals perfectly placed from your entrance and throughout the suite to set the mood to playful, passionate, and uninhibited. Turn your in-suite fireplace into a roaring backdrop for intimacy with our long-lasting fire log. Add a few Fire Logs to your list of items for a perfect escape. Set the mood in your suite and turn bath time into timeout for the adults with our Sensual Sensations package. Two bath bombs, dissolvable rose petals, tea light candles, and a massage oil give you options to delight your lover and change the way you look at rest and relaxation. Indulge on our decadent heart-shaped red velvet cake. It’s rich, smooth flavors are sure to set the mood for a flawless evening! Everything is better when it’s covered in chocolate! This ultimate mood setter is sure to please. 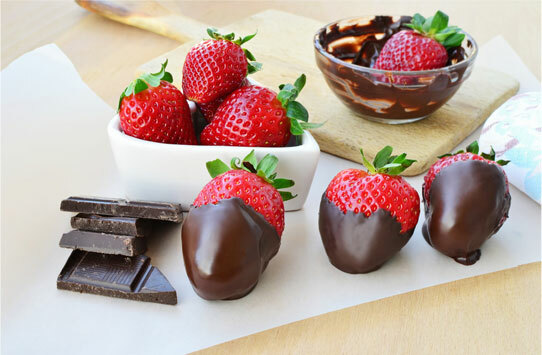 Enjoy juicy strawberries dipped in chocolate with a side of freshly whipped cream. We are pleased to offer an excellent selection of champagne and wine for your in-suite pleasure. Unwind and relax with your love and a bottle of wine or bubbly in front of a glowing fire in your suite. Enjoy eight delicious chocolate covered strawberries with amazing toppings including Oreo and pistachio. To make things even sweeter, the strawberries are paired with a local wine from Blue Ridge Wineries located in the Pocono Mountains. A perfect treat for sweethearts, our heart-shaped vanilla and chocolate ice cream cake can be personalized with a special message and presented at dinner. The perfect snack! Our cheese and meat platter features domestic cheeses – Cheddar, Pepper Jack and Swiss Cheese with sliced pepperoni. Get a little playful with succulent strawberries, sweet cantaloupe and honeydew melon and grapes with a yogurt dip. With 8 assorted delectable chocolate truffles, it will be hard to hand-feed these to your partner and not just yourself. Wrap yourselves up in luxurious comfort with white Royal Essence, 100% cotton terry robes embroidered with our resort logo. Theyre both practical and a perfect memento of your romantic stay. Strike a pose with your resort photographer and make memories that last. 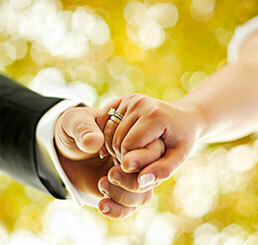 Schedule in-suite photos, outdoor photos, or dinner photos that will make your memories last a lifetime. Enjoy a soothing foot massage using our one-of-a-kind fragrant peppermint foot lotion! You’ll also receive an aromatic eye pillow to rejuvenate your look! For the couple that desires delectable, sweet pleasures so decadent it should be outlawed. A chocolate-dipped heart-shaped cheesecake made by the Pocono Cheesecake Factory accompanied by the flavorfully fizzy Raspberry Sparkletini. We have the champagne flutes and bucket covered too! All you need to bring is appetite for sweet treats and romance. Looking for a way to say “I love you” without actually saying “I love you?” Let our cuddliest bear and some satisfyingly sweet cookies do the talking for you. The Sweetest Gift features 1 plush teddy bear attached to an “I Love You” balloon and 6 freshly baked chocolate chip cookies. Enjoy a bath-for-two with bubble bath, bath sponge and scented candles. A box of chocolates and champagne flutes presented in a wicker basket are sure to make your stay unforgettable. Surprise your love one on that special occasion with Happy Birthday, Happy Anniversary, or I Love You balloon set. What pairs best with chocolate wine? How about chocolate truffles? Your bottle of Chocolate Shop wine with an 8-piece assorted box of chocolate truffles. This 70 minute session will provide relaxation, stress relief, and ease muscle tension. Warm stones are incorporated into your full body massage for a wonderful relaxing experience will also include chocolate aromatherapy, as well as peppermint foot lotion. Set the mood for love with this indulgent Romance Basket, filled with tasty and tantalizing chocolate covered strawberries and a bubbly bottle of Verdi Spumante. Our spa collection includes all of the Ytsara essentials as well as instructions to heighten relaxation. Refresh your skin with the Aqua Infusion Lotion and Smooth Soles Cream, treat your body with the Renewing Body Polish, Regenerative Body Wrap and the Fit Body Rub, have a restful and relaxing sleep when you spray your pillows with the Deep Calm Pillow Mist and even pamper your skin when you soak in a tub with the Himalayan Salt. Get your pulse pounding with a Pocono Raceway drive and ride along experience! An exclusive Ultimate Adventure package only available to our guests! When things start to heat up, get wet and wild whitewater rafting on the Lehigh River. Experience whitewater rafting on scenic rivers winding through the lush Pocono Mountains. 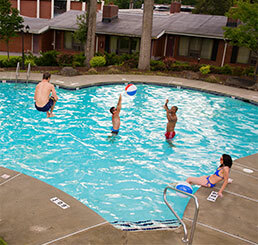 The perfect thrill for you and your sweetheart! 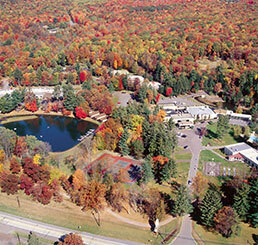 Get A Bird’s Eye View of the Pocono Mountains! You’ll head up to the treetops for a bird’s eye view of the amazing Pocono Mountains and from the first step onto the rope sky bridges until you zip onto the last tree platform the excitement never ends!